Okay, let's get one started and see what happens. The road may not always been smooth, but stay focused, keep pressing forward. Don't let others decide how you feel or don't feel. WOW Nykkytta WROTE a post!! Avatar and picture in signature from embroidery by Lthomas. Thanks Lisa! 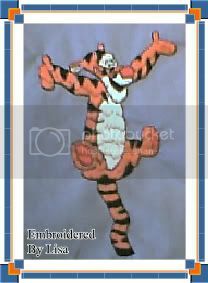 Totally agree Tigger. Nykkytta don't be a stranger.. Beat you, want to try again? LOLOL Laughing that's what I get for not reading properly! heh! next three words, someone, please. Hey I like this game!